Barafundle Bay has been voted one of the best beaches in the world, and it is simply stunning. 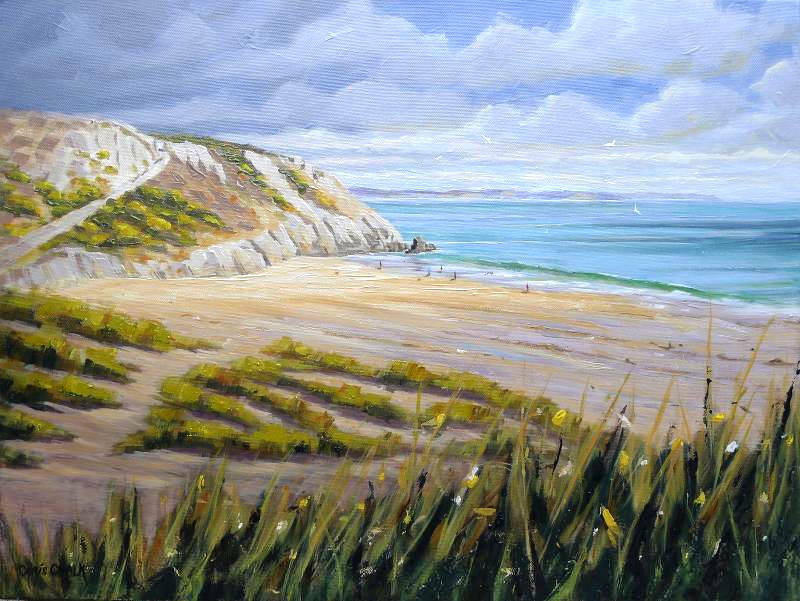 This painting was a commission for a client to present as a leaving gift for a colleague who loved Barafundle Bay. Oil on box canvas 24" by 18"